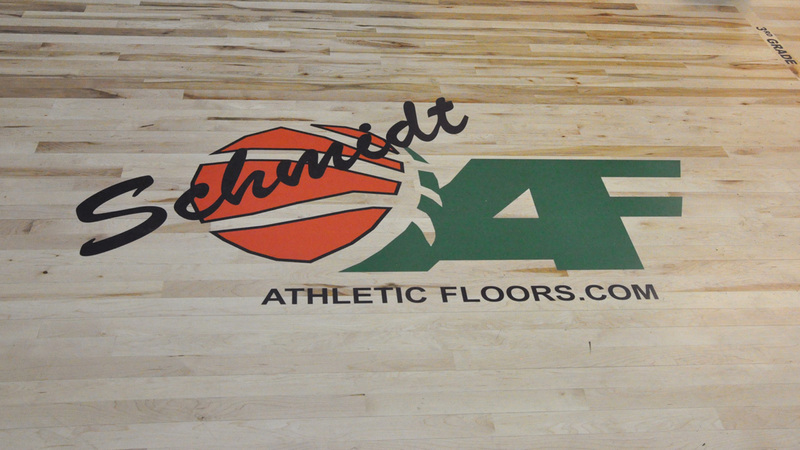 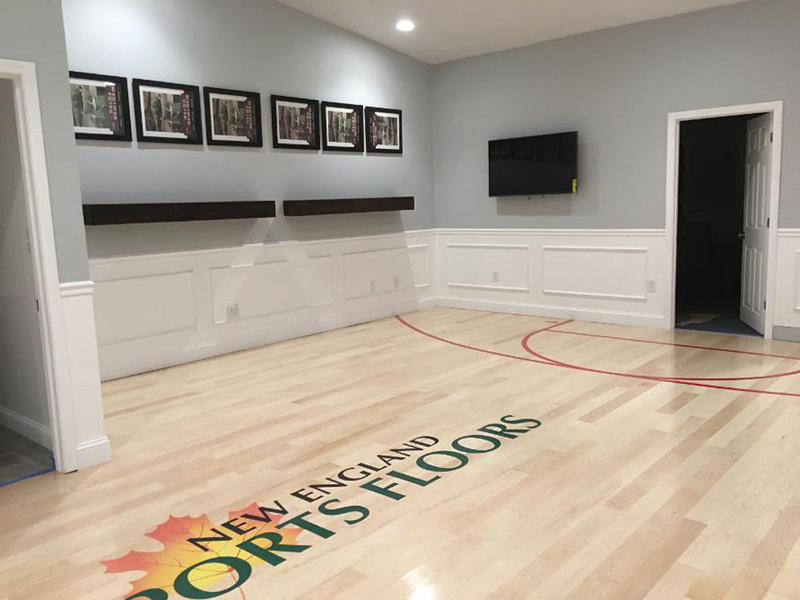 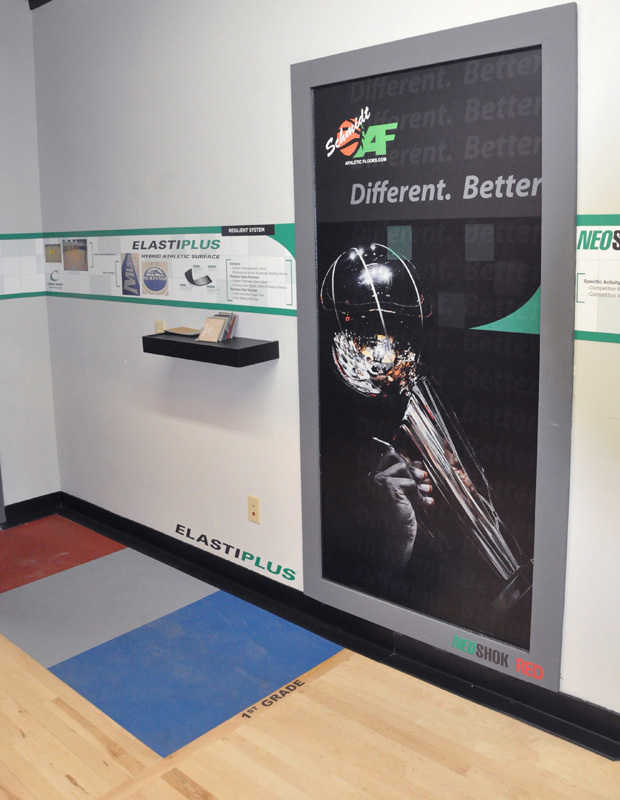 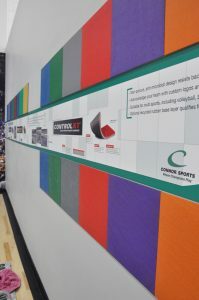 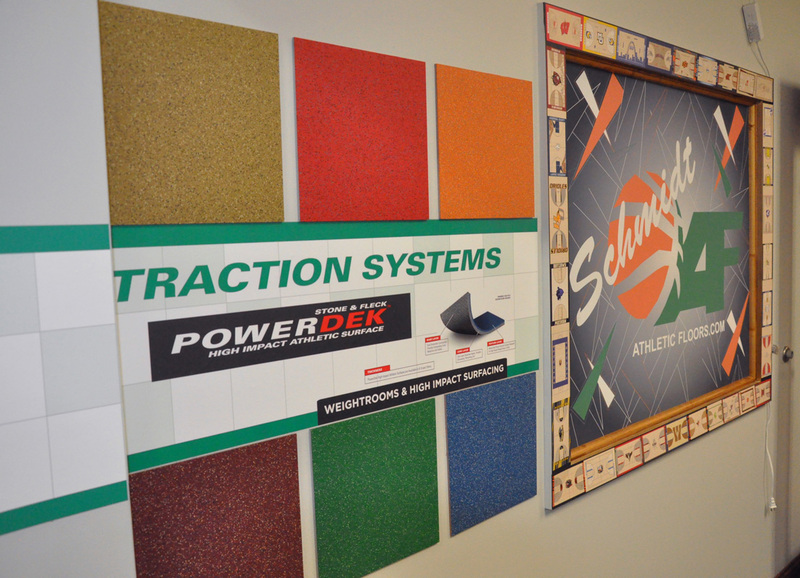 Schmidt Custom Floors is pleased to deliver full-service custom graphic services for a wide range of applications through our graphic division, Graphic Creations. 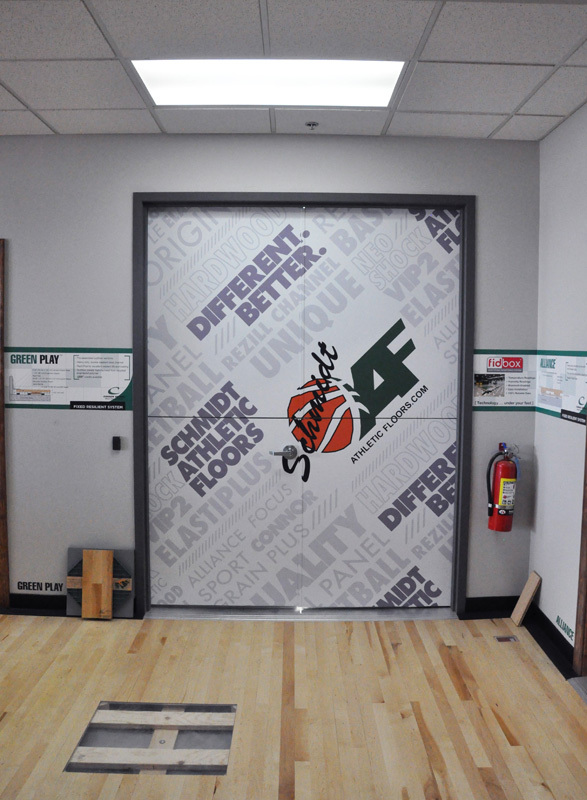 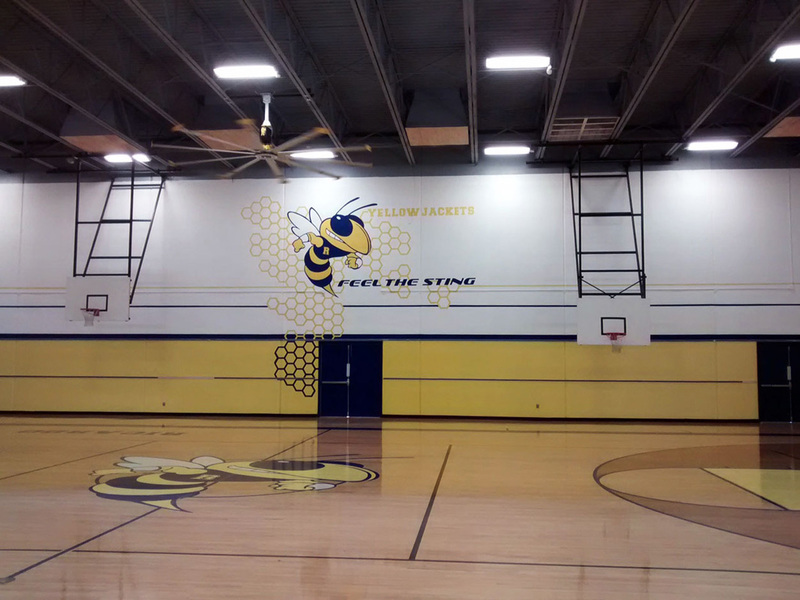 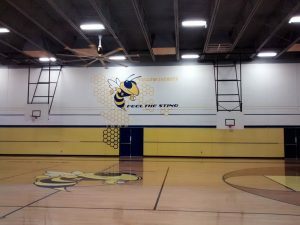 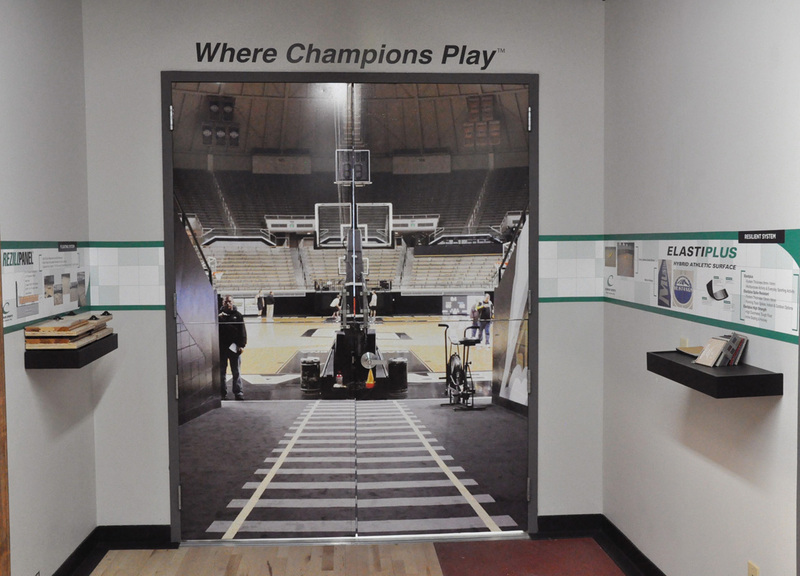 Relying on decades of combined experience, our diverse team of graphic designers has created and applied top-quality vinyl stencils for professional basketball teams, universities, churches, and more throughout the country. 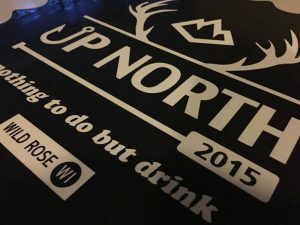 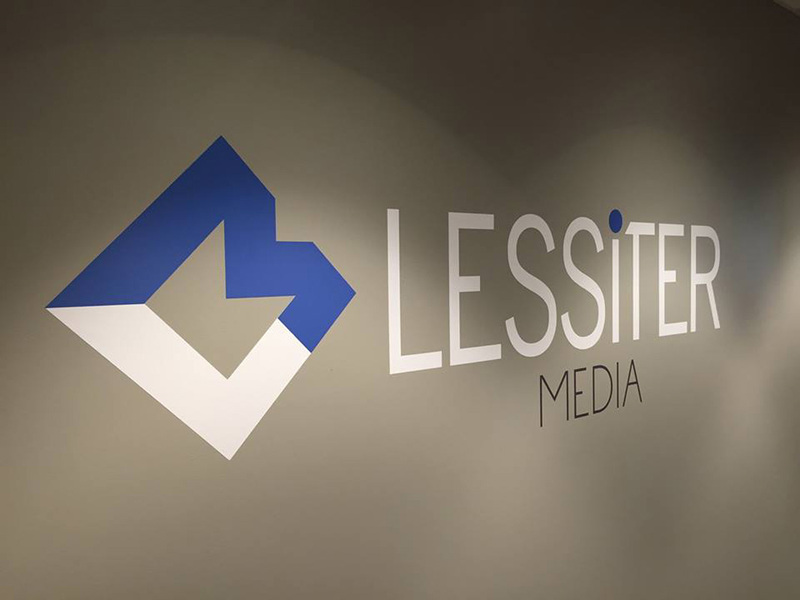 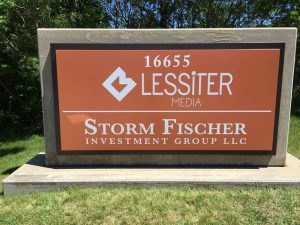 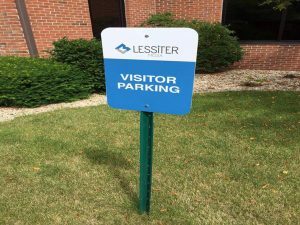 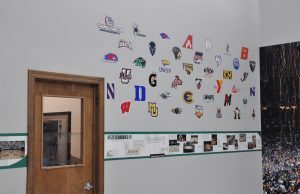 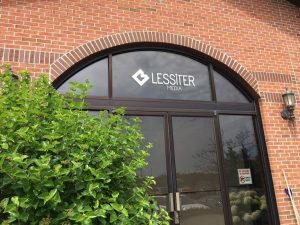 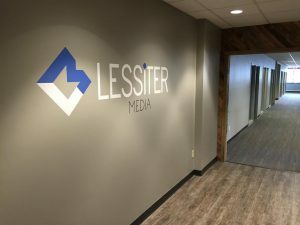 Graphic Creations carries a number of different materials that include: floor decals, wall graphics, banners, backlit signs, printed curtains, and others. Team up with Graphic Creations to design your unique space. 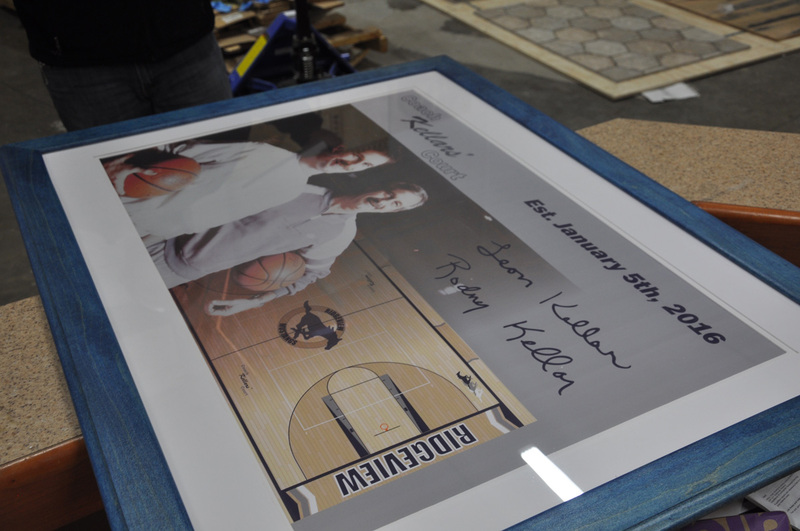 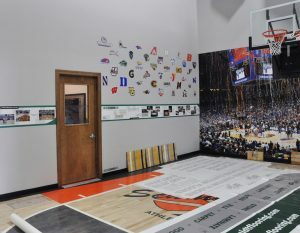 The Graphic Creations team is led by Ryan Powell, who has been in the athletic flooring business for nearly 20 years. 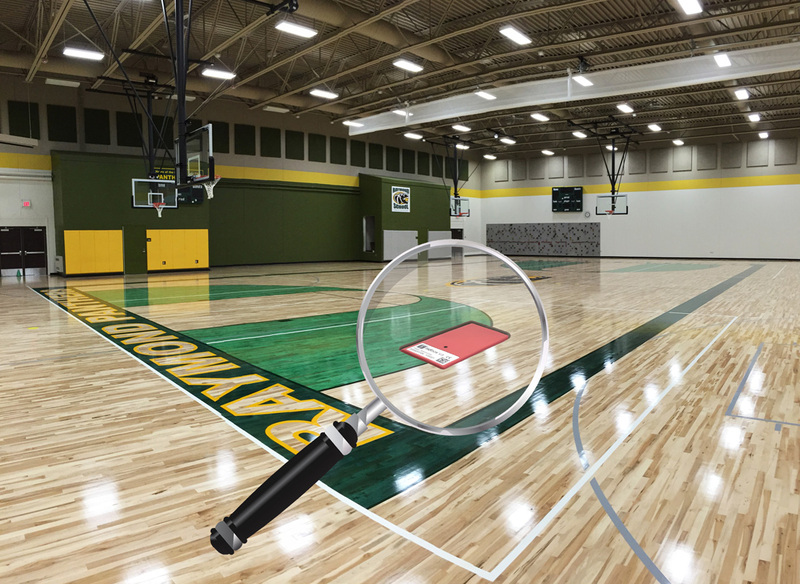 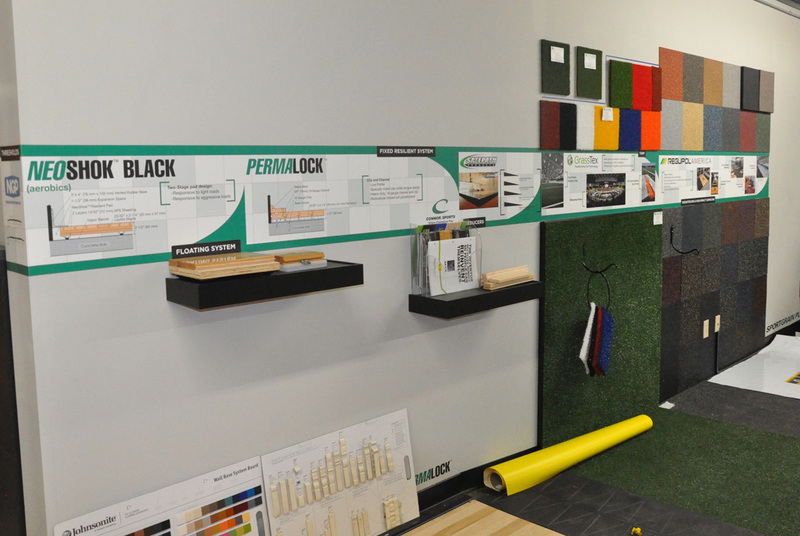 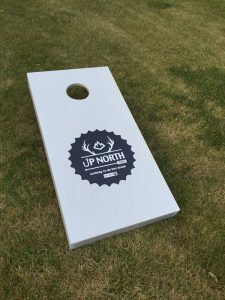 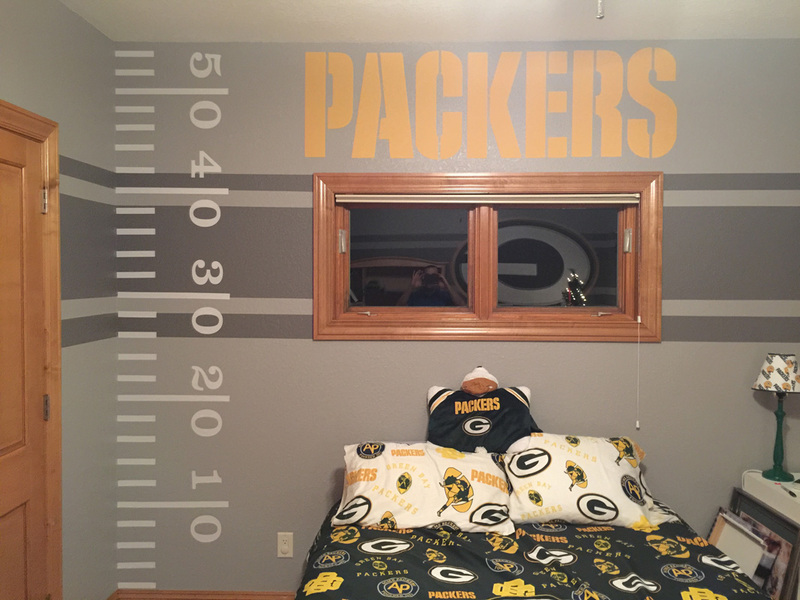 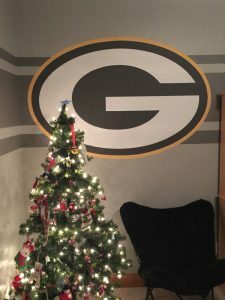 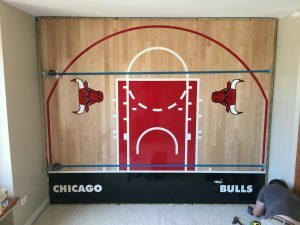 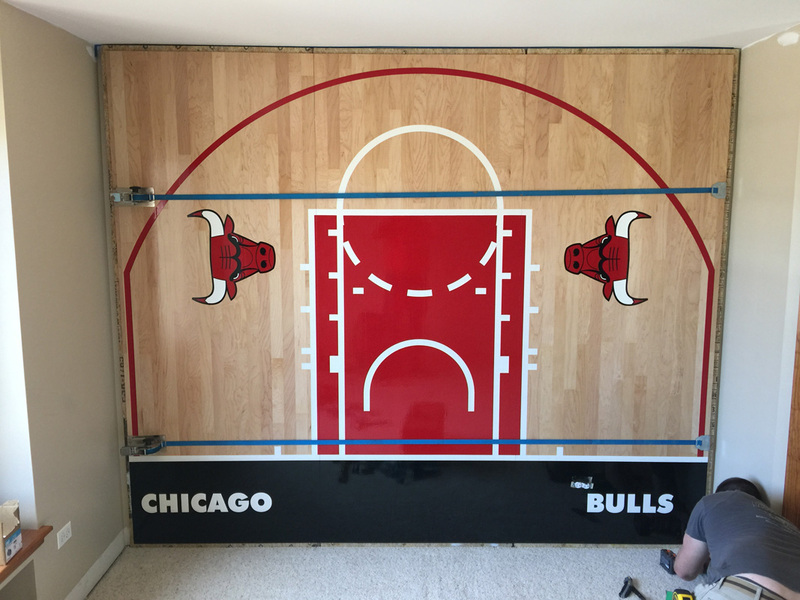 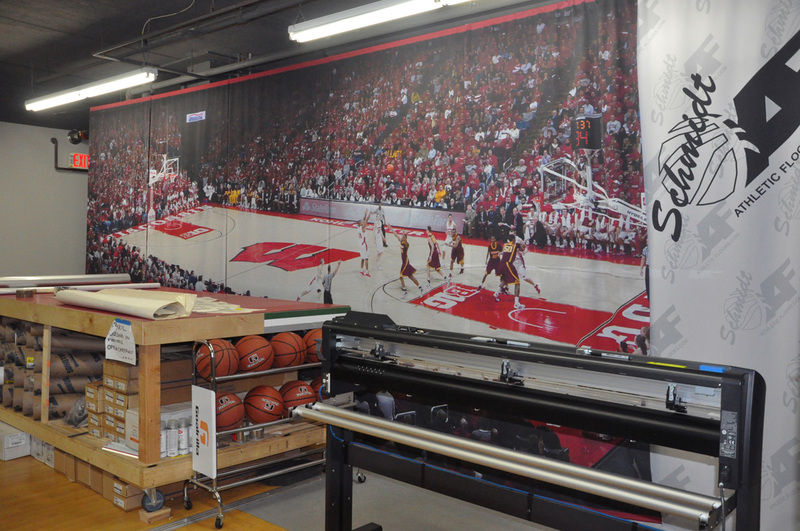 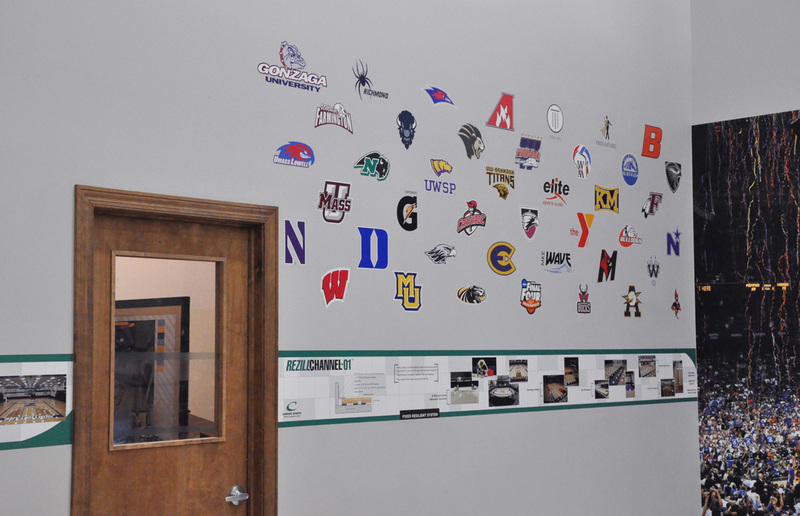 With a Graphic Design degree from UWM, Ryan’s experience includes working with a wide range of products and processes, making him the most valuable partner for athletic flooring graphics in our area. 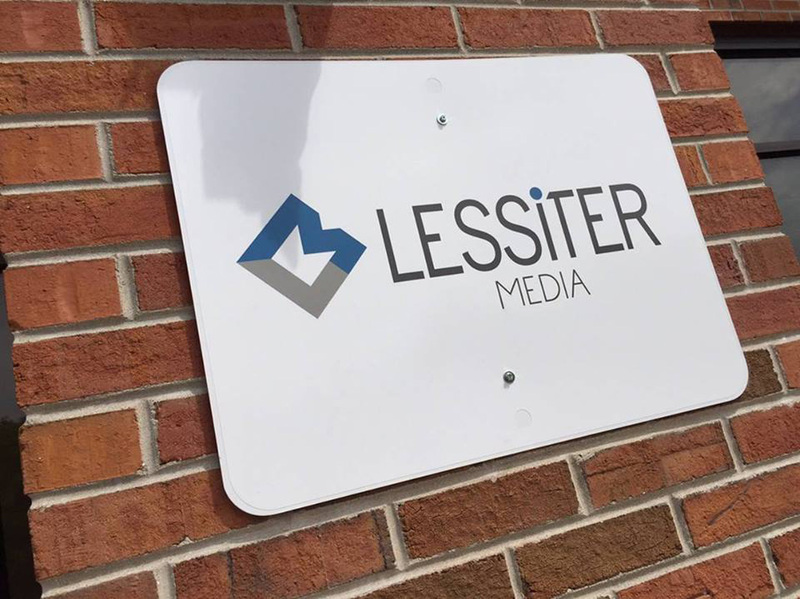 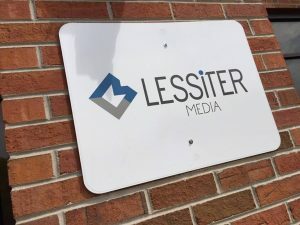 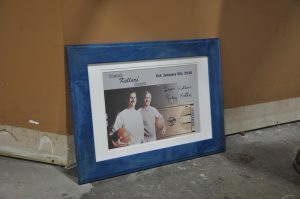 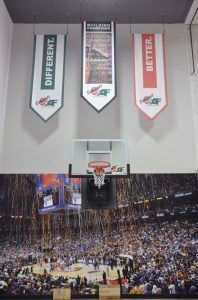 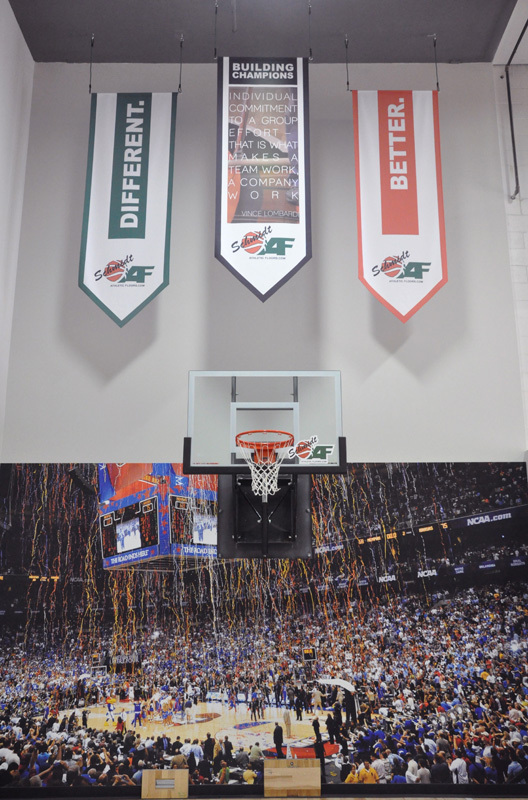 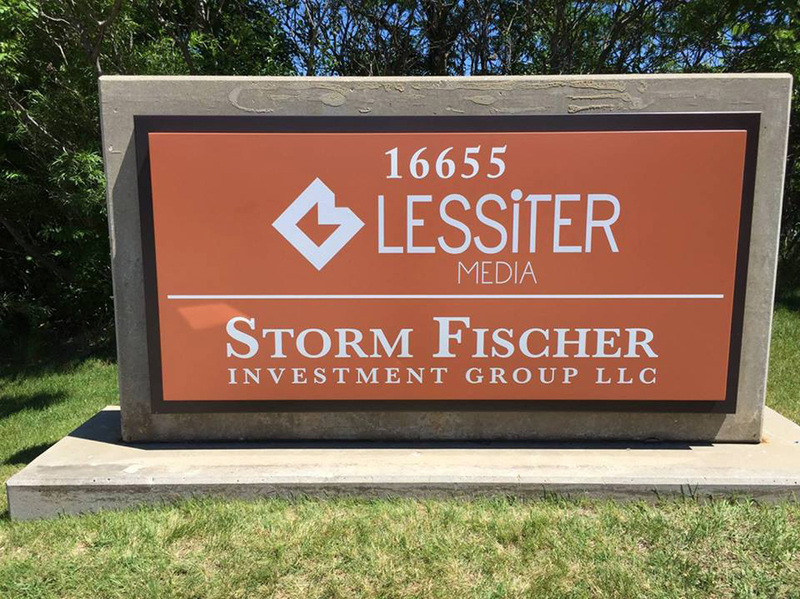 Ryan is supported by Josh Ziesemer and Mindy Schalinske, both superb graphic designers, and together, this team has delivered beautiful graphics for an array of customers, including high-profile clients such as the Milwaukee Bucks. 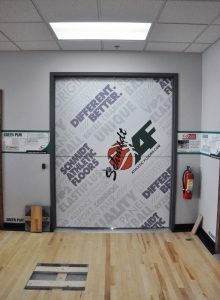 Our graphic services team makes use of cutting-edge computer software, advanced vinyl-cutting equipment, and artistic techniques including wood floor staining, airbrushing, roller painting and more to create vibrant graphics that are unique and functional for any facility. 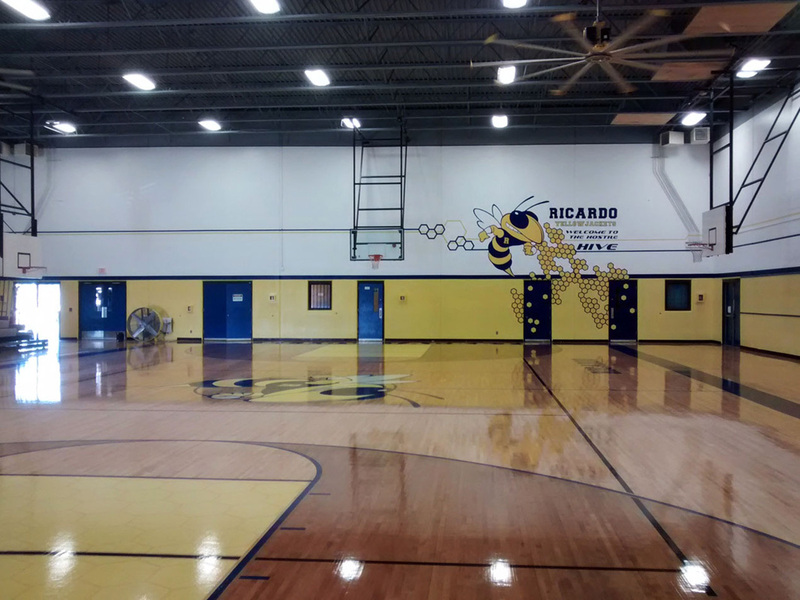 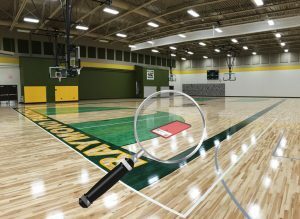 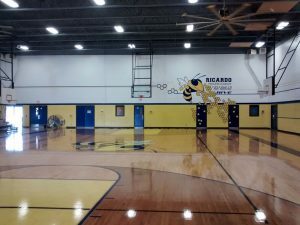 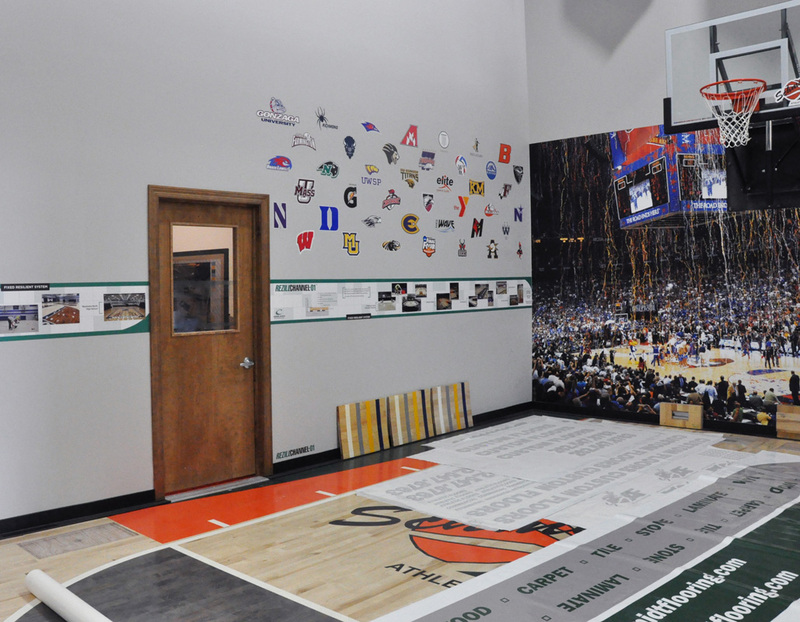 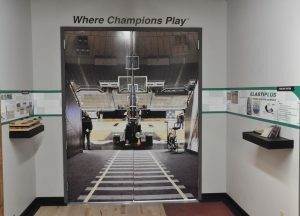 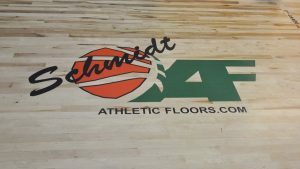 We encourage you to contact Ryan Powell today at rpowell@schmidtflooring.com for more information or to discuss your next athletic floor graphics project.